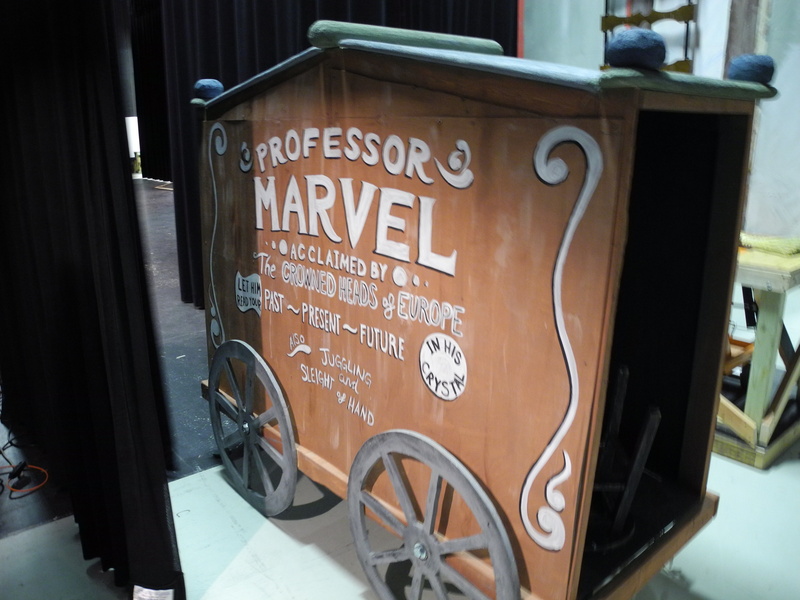 Wednesday and Thursday and Opening Night, Oh My! There was a production meeting for Seussical tonight but some people couldn’t make it and others needed to get back to the High School as quickly as possible to help get ready for the Wizard of Oz. It’s always like that, seems like there’s plenty of time then suddenly it’s two days before opening night and the place is abuzz with everyone pitching in. No one is immune, the leads are painting between the time school gets out and the time dinner is served. 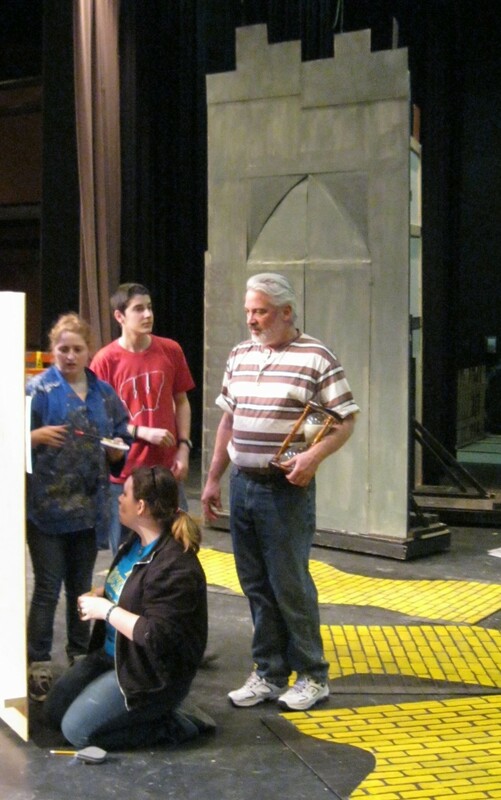 The rest of the back stage crew paints through rehearsal. Time slips away as the stage gets set. In the wings there are ropes and trampolines for flying monkees and spinning houses and animations in the Emerald City. 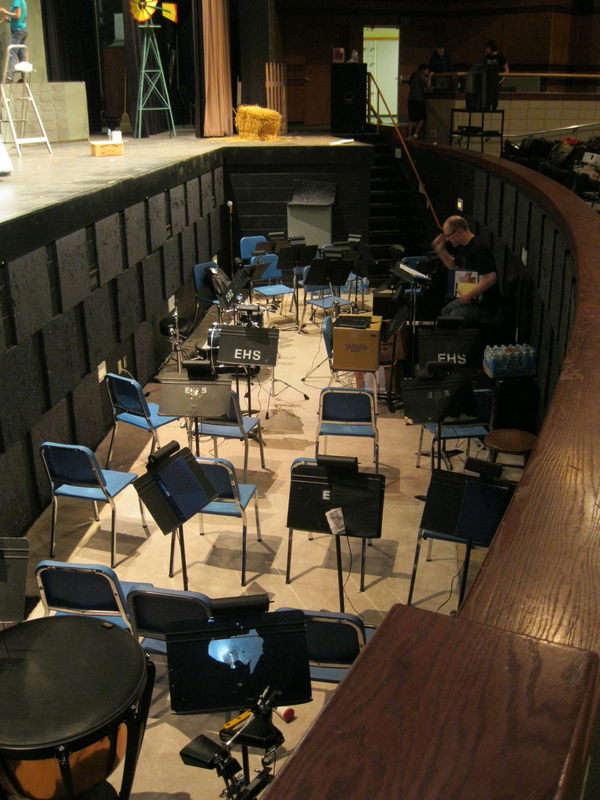 The pit is set for the band. The light crew is working on a light chase that simulates lightening, while the sound crew is working on sound effects. The chaos will gel into a production in just a few days. 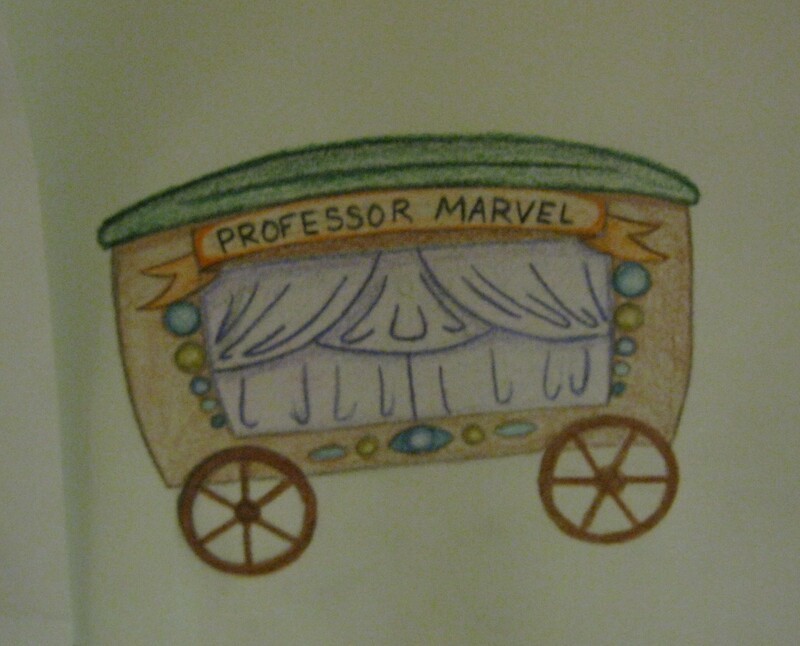 Peter D., the Director, had asked the Munchkins to stop singing, he needed one of the groups to sing louder and stronger. Off to one side of the stage Glynda the Good Witch of the North and the Wicked Witch of the West were mock fighting over the Wicked Witch’s broom to blow off steam. 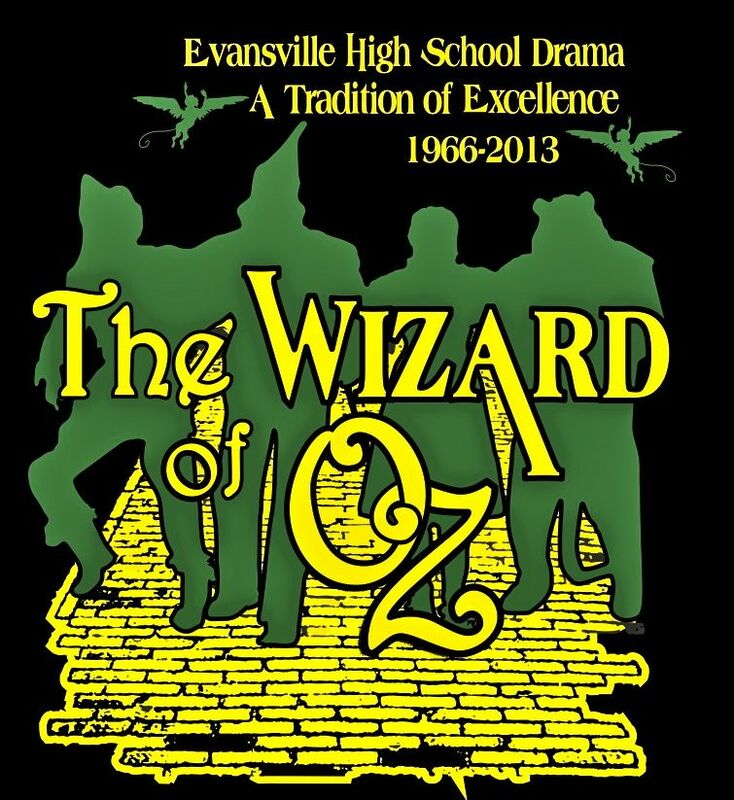 There is a swirl of activity going on as the Evansville High School Drama Department prepares for The Wizard of Oz, opening Friday, May 3rd at 7:30. 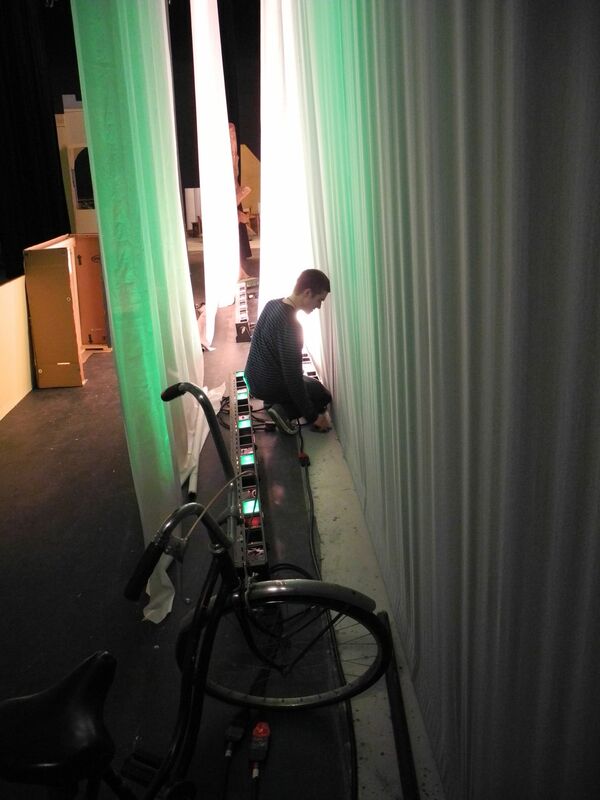 The light crew was adding gels to the lights, and as one might imagine, green is an important color. Matt and Marisa were working with some new sound crew volunteers. Mr. and Mrs Z. were, of course, there and a group of women were in the Green Room working on costumes. The saw horses and yellow caution tape adorn the front of the stage to prevent any of the residents of Oz , and I suppose Kansas too, from falling into the band pit. The Wizard of Oz is an all around challenging production-lots of scenes, lots of special effects, and lots of costumes. And since this production requires Munchkins, middle and intermediate school students are involved too. Small trampolines clutter the wings along with sections of yellow brick road, the Professor’s wagon, Dorothy’s house, a bike, and trees. The shop is full of frames with chicken wire attachments waiting for paper mache, which will have to dry before they can be painted. No doubt this weekend will find a hive of activity in the shop. Sunday is the official start of hell week, as it’s known, and the theater kids and all of their helpers will disappear into the theater.